The power of Enlighten in the palm of your hand. 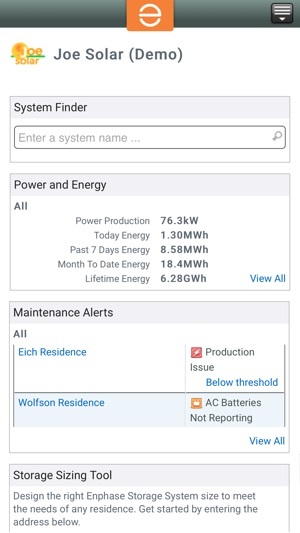 Enlighten Manager provides sophisticated mobile tools to monitor and manage Enphase PV systems. Enlighten Manager enables full performance monitoring and management of multiple systems from any online device. - Run detailed performance analysis and reports. - Compare production across multiple systems against previous days, weeks or months. - Identify and diagnose performance variations. - Monitor installations in progress. If you only have MyEnlighten you are at the mercy of your installer. I was misled for the better part of a year when my solar production dropped by a lot. My installer told me everything was AOK and MyEnlighten showed all was normal. Once I installed Manager and paid the activation fee ($249) I found 4 panels barely producing and huge variances in the panels that were. Once armed with proof the installer came out and replaced 4 inverters and flashed the rest with new firmware. The anomalies were cured and my production soared. If you want to know what is really going on with your array, you need this app! I am baffled by the one star ratings for this app. It has worked great for me from the get-go almost three years ago when our system first was installed and has continued working through multiple iOS updates without problems. Works on my iPhone as well as my iPad. 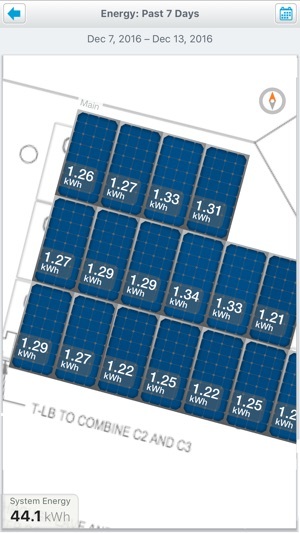 Great tool to check your energy production as well as see if specific panels are under-performing. 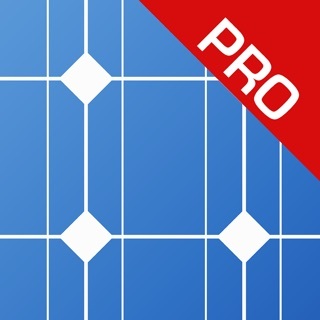 I like this better than the Enphase Enlighten app, which seems a little dumbed-down. Unfortunately the update took away to ability to connect to my Envoy while on my home WiFi. I found this connection very useful. Please restore this functionality. I loved the app before the update. The other newer app is pretty and there is some nice functionality in it Like day over day overlay of production, but is unfortunately too limited in general. Please restore all functionality in this app that was there before the update. © 2016, Enphase Energy, Inc.